Situated on Nahuel Huapi Lake, within the national park of the same name, you’ll find the principal towns of Bariloche, Villa La Angostura and San Martin de los Andes. 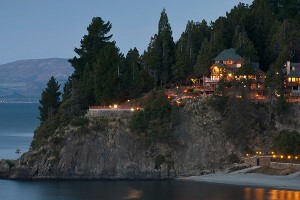 The most famous among the trio, and arguably one of Argentina’s most beautiful places, picturesque Bariloche graces the lake’s southern shore. Amidst grandiose snow-capped mountains, this ski town is known as the “Switzerland of Argentina” as even its architecture is reminiscent of Europe. Take in the stunning scenery of the easily accessible surrounding lakes and mountains as you bike the Small Circuit’s brilliant, 16-mile loop, or enjoy the world-class fly fishing this area has to offer. 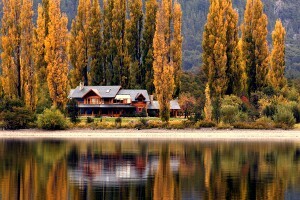 Hugging private homes and exclusive hotels, the lake’s northwestern shores are where Argentina’s wealthy come to play. Almost a tenth the size of Bariloche, Villa la Angostura’s small town center is a picture-perfect natural harbor with small fishing boats dotting crystal waters. Cero Bayo’s little ski community and nearby Parque Nacional Los Arrayanes are no doubt the highlight. The town also marking the birth of the Seven Lakes Road—one of the most scenic driving roads in the country, which bypasses a series of winding mountains and gorgeous lakes before stopping at San Martin del Los Andes. 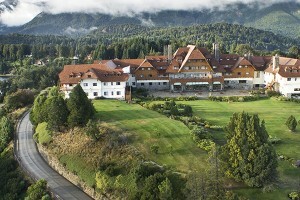 Less than 62 miles north of Villa la Angostura, encounter the Bariloche of 20-years past. 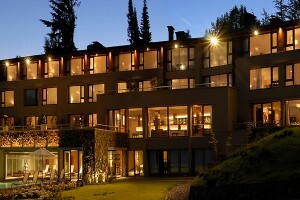 With its alpine and wooden chalet design of many buildings, San Martin de Los Andes sets a wonderful mood; similar to Bariloche, a choice location for those who wish to soak up the wilderness during summer, or take to the winter slopes. To the north, the skiing at Cerro Chapelco is excellent, while the not-too-crowded Parque Nacional Lanín’s beautiful grounds cater to those seeking adventure.